In this step, you are required to enter the accurate personal information of the applicant(s). Please double check your information to make sure that all of it is correct. Then choose the payment method and fill in the secure payment page for our visa service fee. 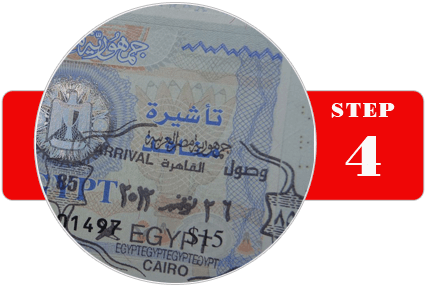 After receiving full payment for Visa Service Fee and Egypt Government Fee, you need to provide some extra documents to complete your application form when we require. Get the eVisa within 3 business days for normal service. Get the eVisa within 48 hours for urgent service. The eVisa will be processed and issued electronically and sent to the traveler via email. 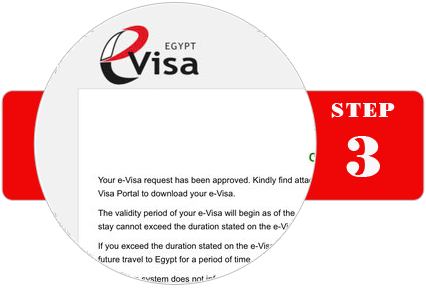 Please print out your Egypt eVisa that we send you via email to board the airplane.